Recently I sent an email to the Stash Tea Company. I let them know that I absolutely loved their tea and at the end of the email I asked if they would be so kind as to send a sample of their favorite flavor of tea, because I've tried a few of their flavors...but definitely not all of them, or perhaps maybe a coupon. As the title states, I'm not a huge fan of tea. I'll drink sweet tea during the hot summer months, and a hot cup of tea every now and then. I gave up drinking coffee nearly 3 years ago, so I've been looking for a tea that I could drink in place of the coffee, and I have found that Stash Tea is what I have been looking for. I was surprised when I received a reply! It was short and sweet, but they let me know that I would be getting samples to try. I was so excited when it came in the mail, I opened it up right away! This is what I found. 4 individually wrapped tea bags in different flavors. 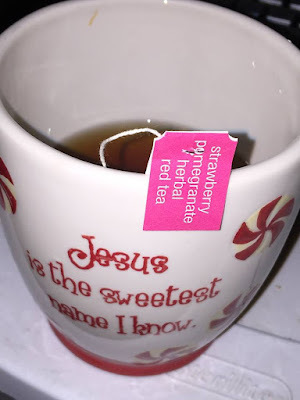 I have to be honest, I wasn't sure that I would like any of the flavors...but I decided to try the Strawberry Pomegranate tea & boy am I glad that I did! It smells AMAZING, and tastes even better! Even after trying just this one flavor from the samples I am hooked. lol I will be buying more boxes of this flavor ASAP. 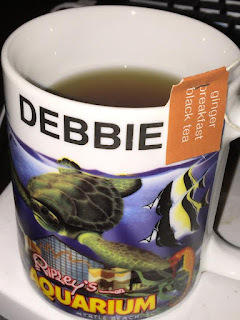 My oldest daughter tried the Ginger Breakfast blend. She loved that one, I however, didn't care for it very much. It was okay, but not something I would drink. I even let her use my mom's old coffee mug. Anyone that knows me knows that we don't use "meme's" special mug often. Overall, I absolutely love their teas and will be buying more from them in the future. If you are looking for a new tea to try, I recommend you give them a try! I'm sure you won't be disappointed. 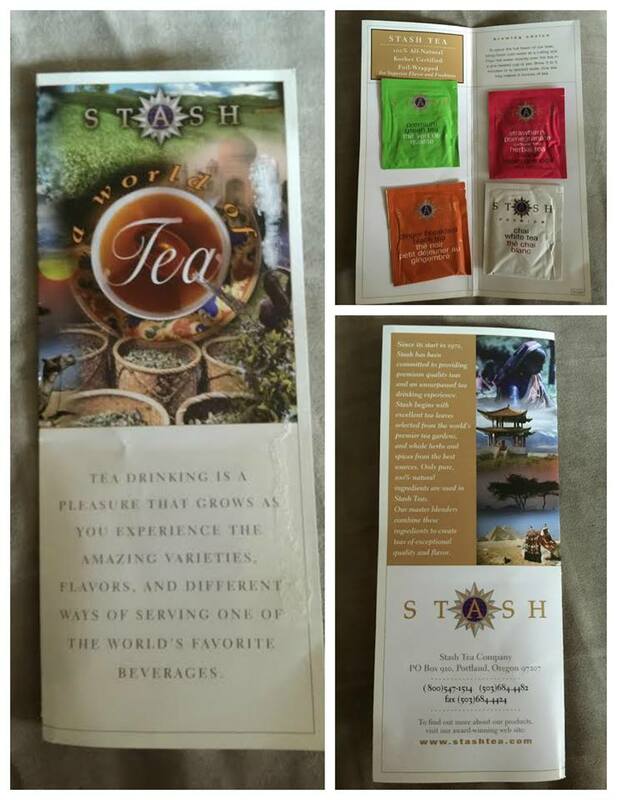 To learn more about Stash Tea, and their core beliefs, you can go here. 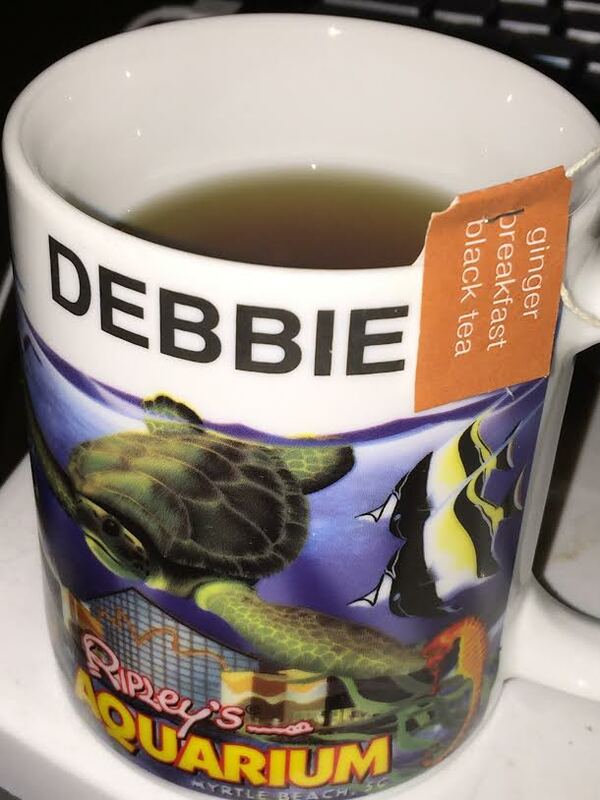 If you would like to purchase some Stash Tea, then click here. 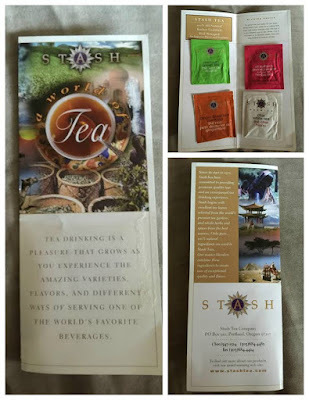 I received 4 samples of Stash Tea because I asked for it. I am not required to write a review, but I wanted to, all opinions expressed are 100% my own.